Microsoft's Windows 8 woes continue, as the 8.1 OS update for Windows RT remains offline days after technical problems forced the vendor to pull it from the Windows Store. On Monday, Microsoft said it has determined that the problem only affects Surface RT tablets, which ironically are designed and made by the company. The issue has affected less than one out of every 1,000 Surface RT customers, or under 0.1 percent, a company spokesman said via email. Still, "improving their experience and ensuring their systems are fully operable as quickly as possible is our number one priority," he said. Microsoft posted recovery files on its website for affected users to download. The Web page also includes detailed installation instructions. However, Microsoft hasn't restored the update to the online store, so it's for now off-limits to all users of the OS. "We continue to work towards making the Windows RT 8.1 update available in the Windows Store again and apologize for any inconvenience. Further updates will be provided as they become available," the spokesman said. Those affected by the bug are unable to launch Windows after downloading the update. They get an alarming error message that says the PC needs to be repaired and that the Boot Configuration Data file is missing some required information, along with an error code. Windows RT is the Windows 8 version designed for devices that run on ARM chips. While both versions of the OS have failed to meet sales and customer expectations, Windows RT has been the hardest hit, losing the support of many tablet makers. Most criticisms leveled at Windows 8 for x86 machines and Windows RT have centered on the new Modern user interface, which is based on tile icons and optimized for touchscreens. Windows 8 started shipping about a year ago. Microsoft has high expectations for the 8.1 update, which it hopes will improve the perception and adoption of the OS among both consumers and business customers. 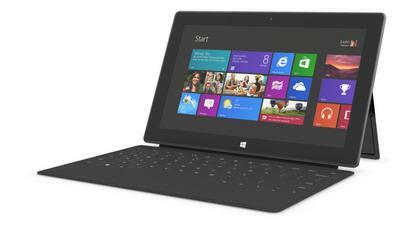 The 8.1 update for Windows 8 and Windows RT 8 was launched with great fanfare on Thursday.